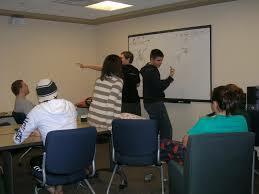 Pictionary Game is a good icebreaker game, and it’s best played in a confined space or indoor. In this game, each team is to identify and name pictures and drawings from the team. It requires drawing skills and demand you can identify pictorial representations. Pictionary game is best played by teens and young kids. Up to 20 persons can take part. The organizer should prepare a list with the name of what the team is to draw while the placers will match the picture to the list. Step 1: The participants should team up into 3 groups at least. 3 is the minimum number but not the limit. Give each team a large sheet, pens, markers, or a whiteboard (if available). You should pick a team who will start the game. ‍Step 2: After selecting, team A should meet the organizer and take a card in which contains a name or word that represents a unit from any particular category (object, action, place, animal, person or something). Step 3: you’re to draw the anything you’ve chosen, and you have only but 1 minute. If the team members manage to identify the word in the set time, they have one point. No aid or sign in when trying to get this drawing and that can be marked as cheating. The player who signed to take the card should just draw the item on the card. Step 4: The number of items or rounds should not be limited as long as it remains fun. The team that will accumulate the most points emerges victorious, and that means the list should be enough. You can make variations, instead of drawing to mimic or explain words. In Pictionary Game, the whole team has to be involved and very active. Being a group activity and team all have the opportunity to contribute to the accumulation of points. A big role is also played by the team member who will extract the card and how he will draw the given object. Be clear in painting the extracted image. A favorable context is created where team members have to demonstrate good organization and understanding.